Birthday freebies are just fantastic. Take the biggest, burliest, meanest person you can think of, plop a free cupcake in front of them and sing them the Happy Birthday song, and they'll be beaming like a headlight. If you join the Firehouse Subs’ rewards program, you’ll earn yourself a free medium sub. The catch is that you have to sign up before your birthday, and you must redeem your birthday sub on your birthday or within six days after. Even still, not a bad freebie. Those 13 and older can download the app, and parents of younger children can sign up on Firehouse Subs' website. There are more than 25 locations in and around the Houston area. Find a Firehouse Subs near you. If you sign up for Coldstone’s eClub you’ll receive a coupon for some free ice cream for on/around your birthday. Sounds like a winner. I mean, you very well can’t have a birthday without ice cream, let alone free ice cream. There are about a half a dozen Coldstone Creamery locations in the Houston area. 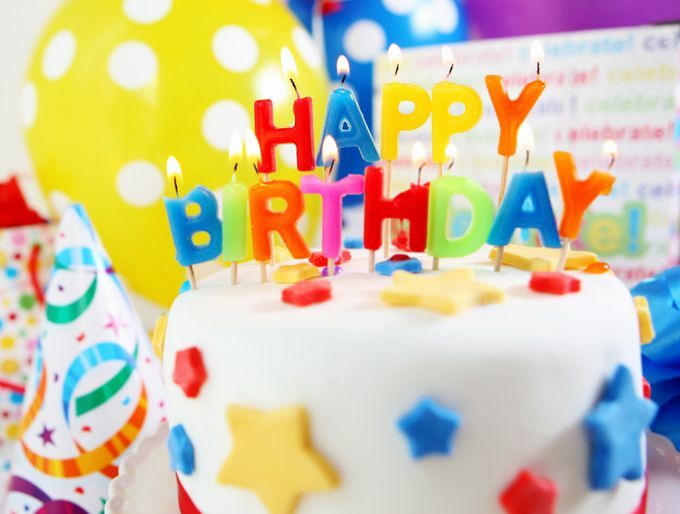 If you sign up for the Birthday Club on the Baskin Robbins’ site, you’ll earn yourself a free 2.5-ounce scoop of ice cream and a discount on a birthday cake. There is no age limit to this deal. Check out this list of Baskin Robbins locations in and around Houston to find one near you. Feeling particularly classy? Sign up for BK’s Kids Birthday Club, and the birthday boy or girl will receive a coupon for a free kids hamburger meal. (FYI, those typically cost about $3.) Nobody over 13 years of age is eligible. On the day of your child's birthday, your kid can receive a free Junior Build Your Own Grand Slam. The only catch is that said child must be with an adult who is paying for an adult entrée. Also, the child must be 10 years of age or younger. Also, the child must be left handed. Just kidding. There are four ​Denny's inside Houston, including locations near the Museum District and along I-10 by Memorial Park. If you sign up for Red Lobster’s Fresh Catch Club, you’ll earn yourself a wonderful “birthday surprise.” Beyond it being described as a “birthday surprise,” there’s not much else I can tell you. Cross your fingers and hope it’s not something weird like a plate of half-eaten crab legs. Good luck. No age limit for this one either, but you must sign up at least seven days before your birthday to be eligible. View a map of Red Lobster locations in Houston. If you sign up for Red Robin’s eClub, you will receive a free birthday burger. The only real requirement is you must have an e-mail address that Red Robin can fill up with regular newsletters that you’ll delete without reading. Find Red Robin locations near you. Kids 12 years old and under will receive a free meal during their birthday month courtesy of California Pizza Kitchen if their parents sign up for the California Pizza Kids Birthday Club. Seems like a fair enough deal. There are two locations in Houston — one in the River Oaks shopping center and another in the Galleria area.